Manchester United striker Alexis Sanchez has accepted a 16-month suspended jail sentence for tax fraud in return for avoiding a trial. The ex-Barcelona player faced going to trial in Spain over unpaid taxes amounting to around 1m euro (£886,000). The unpaid taxes derive from image rights deals in 2012 and 2013. 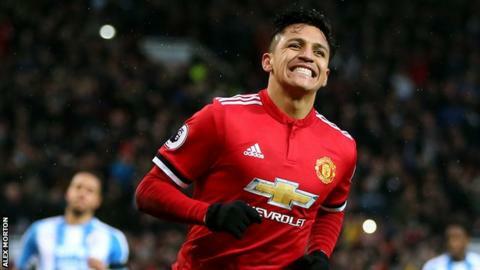 When Sanchez, 29, was first accused in 2016, his agent said the Chile forward had "fully obeyed" laws and his image rights income "has been declared". Sanchez, who joined United from Arsenal last month, is rumoured to be the highest paid player in the Premier League following the transfer, earning £14m a year after tax. He is one of a number of high-profile players to have fallen foul of the tax laws in Spain. Last month, Real Madrid's Croatia midfielder Luka Modric paid Spanish fiscal authorities close to 1m euro to settle his own image rights tax case. Barcelona's Lionel Messi and Real Madrid's Cristiano Ronaldo have also faced tax charges in recent years.